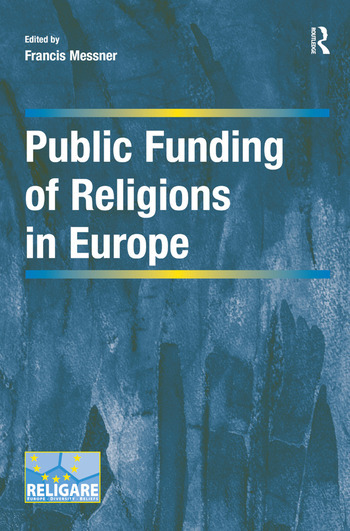 This collection brings together legal scholars, canonists and political scientists to focus on the issue of public funding in support of religious activities and institutions in Europe. The study begins by revolving around the various mechanisms put in place by the domestic legal systems, as well as those resulting from the European law of human rights and the law of the European Union. It then goes on to look at state support and particular religious groups. The presentation of European and national law is supplemented by theoretical and interdisciplinary contributions, with the main focus being to bring into discussion and map the relationship between the funding of religions and the economy and to infer from it an attempt at a systematic examination or theorization of such funding. This collection is essential reading for those studying Law and Religion, with particular focus on the countries of the UK, France, Belgium, Germany, Italy, The Netherlands, Spain and Turkey. The views expressed during the execution of the RELIGARE project, in whatever form and or by whatever medium, are the sole responsibility of the authors. The European Union is not liable for any use that may be made of the information contained therein. Francis Messner is Director of Research at CNRS (University of Strasbourg/CNRS) and Professor at the University of Strasbourg. He manages the MA in Islamology. He is involved in the Editorial Board of several reviews of law and sociology of religion. He was a member of the Commission for legal consideration of the relations between religions and public authorities, appointed by the Minister of Interior in 2005 and is a member of the Executive Committee of the European Consortium for State-Church Research. He co-edited the Traité de droit franÃ§ais des religions (2003 and 2013). He is a member of the RELIGARE-project and as such manages the research group working on State support to religions. Currently, he is ’chargé de mission’ for the Minister of Interior and the Minister for Higher Education.